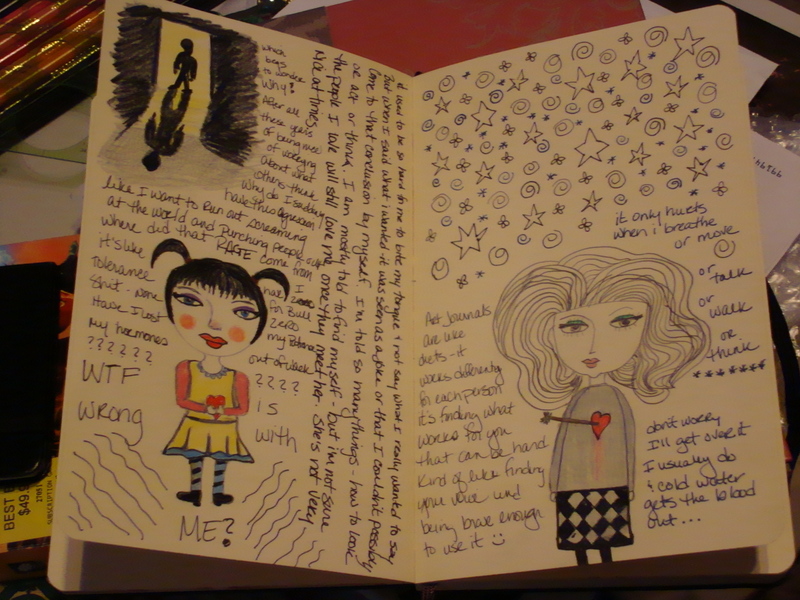 Just an art journal page I wanted to share. I was getting wound up on a subject and couldn’t seem to get my thoughts down on the pages fast enough – therefore there are a few swear words and misspellings. The cutesy ladies I drew were thanks to Teesha Moore’s blog I’d direct you to that specific blog, but I love her artwork and pictures and think it’s a good idea to peruse through. She also has some videos up on You Tube on how to make an art journal.